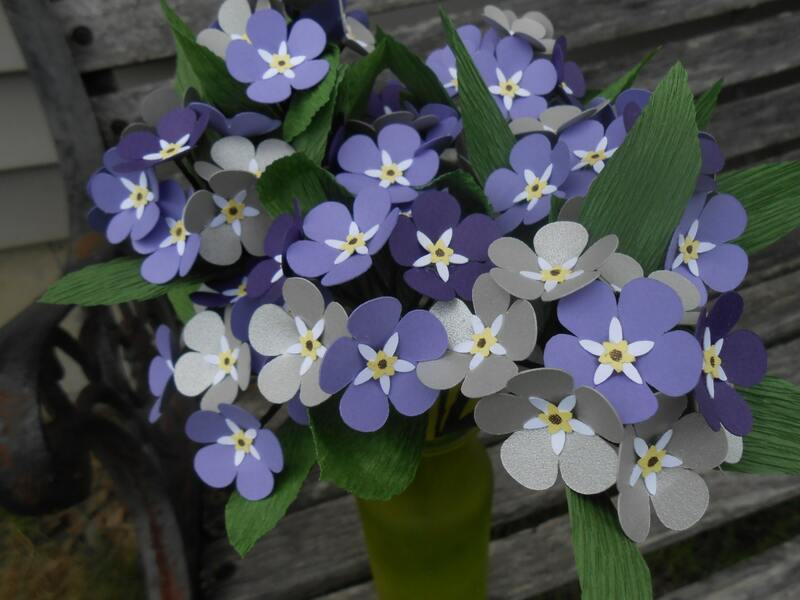 Forget-Me-Not Bouquet. CHOOSE YOUR COLORS. Custom Orders Welcome. Bridal, Home Decor, Anniversary Gift, Birthday, Unique Gift. This bouquet is unbelievably unique! 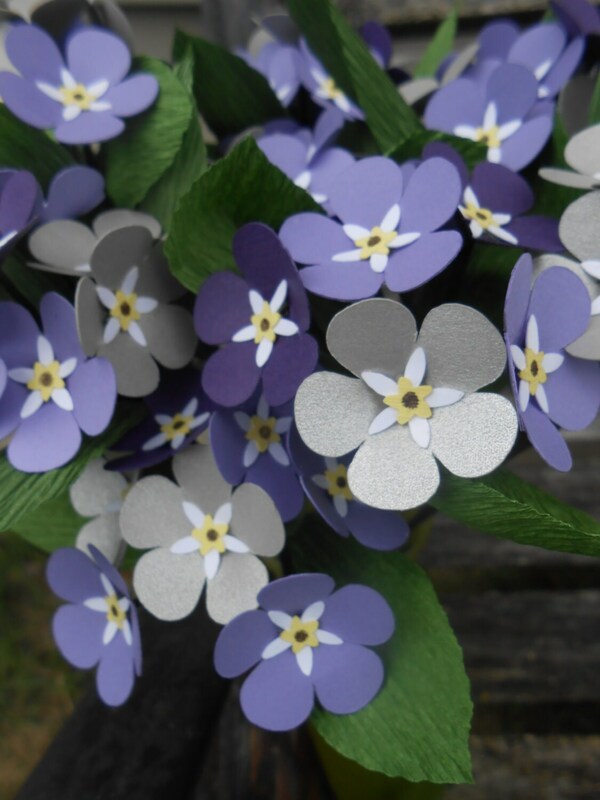 It has many stems of forget-me-nots. You get to choose the colors you want! Each tiny flower measures 1.25" across. 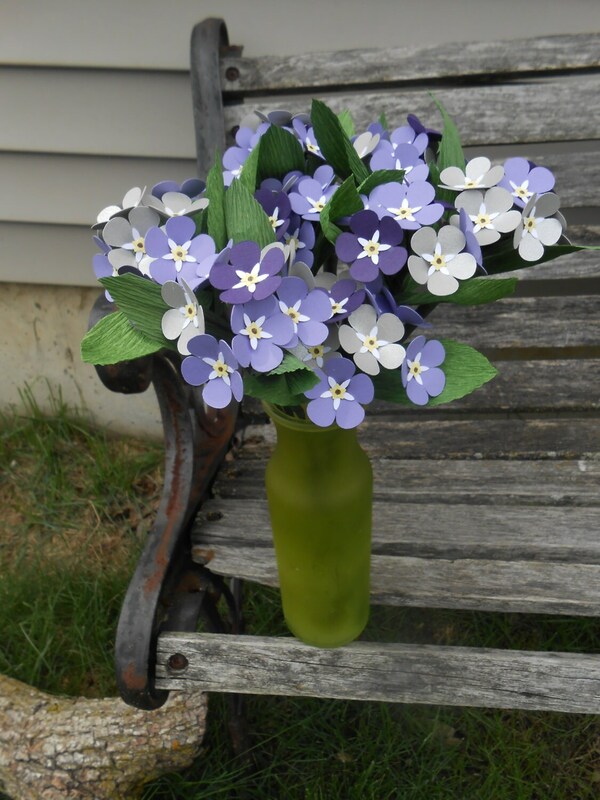 They are all assembled by hand and are on a flexible stem, wrapped with a green stem wrap and accented with leaves. These are perfect for Valentine's Day, Mother's Day, anniversaries, birthdays or just to have around the house. They never wilt and will last forever! ***PLEASE ALLOW me a week or so to put one of these together. Thanks! 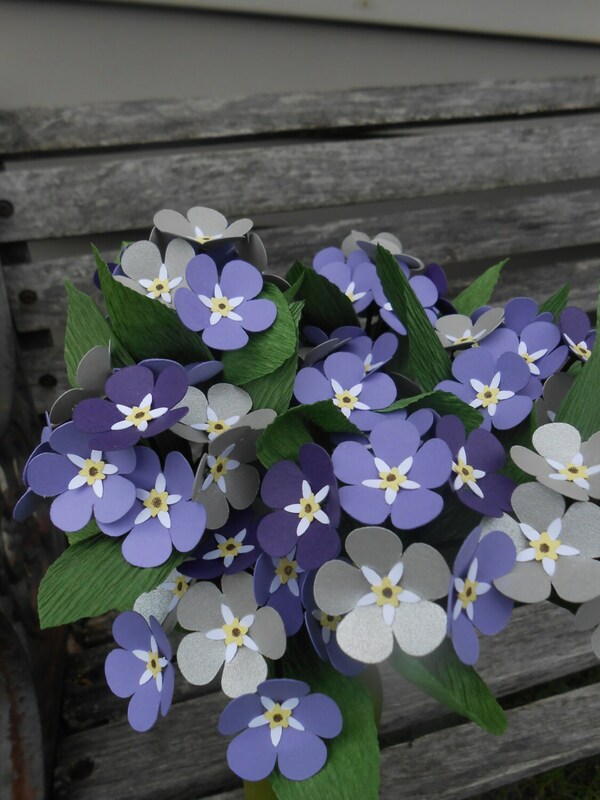 I don't normally charge so much for paper flowers, but these are very time consuming. 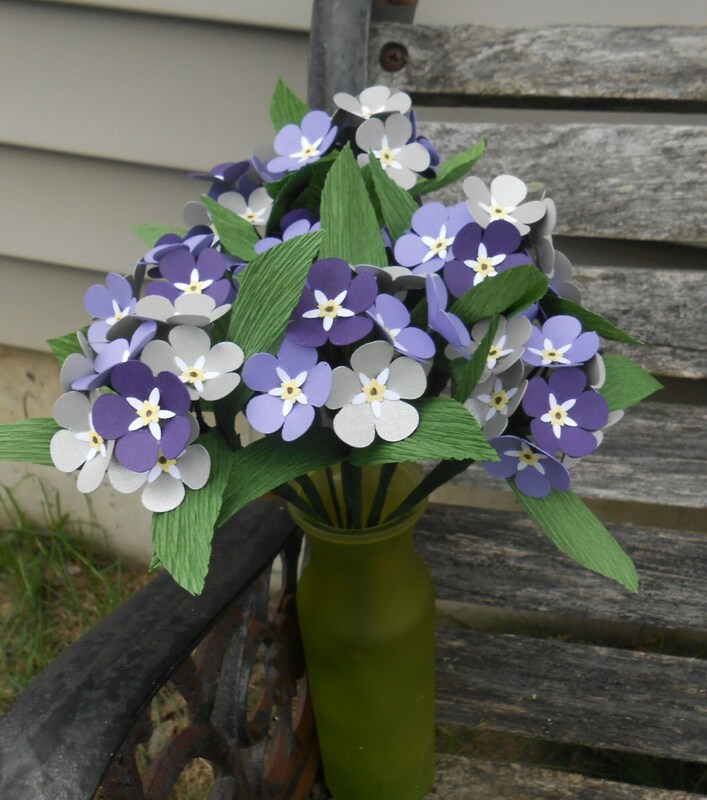 The price reflects the time and effort to assemble these gorgeous flowers. ****These are shown in purples and silver. Please leave me a note at checkout if you want different colors.